Starting GPS Co-ordinates: N51 03' 90" W000 95' 30"
Finishing GPS Co-ordinates: N51 03' 90" W000 93' 20"
To see: Ashford Hangers National Nature Reserve. This byway is protected by a TRO and is closed to all motorised traffic. The northern part isn't a dead end as such: one may exit along Cockshott Lane. 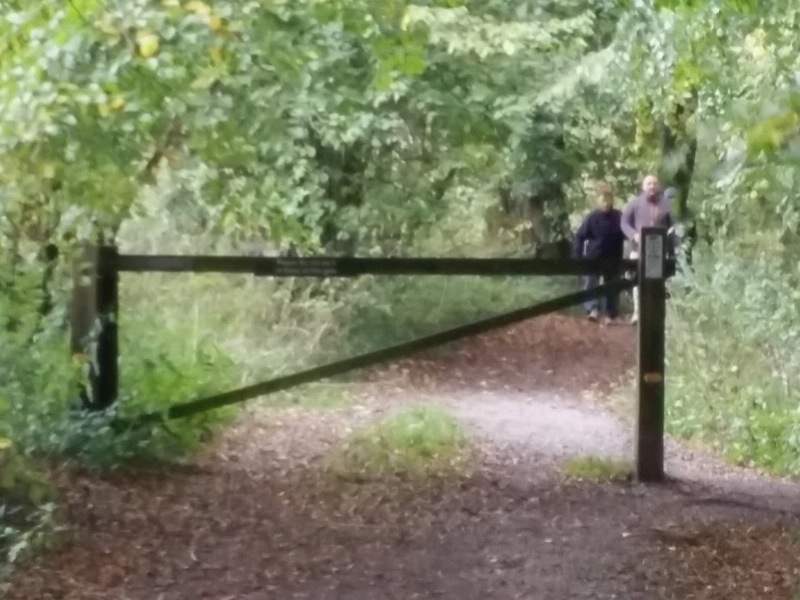 But the majority of the byway is protected by metal gates so there is going further. Move along, unless you want to park up and have a walk around the extremely beautiful Ashford Hangers National Nature Reserve (and you should!). This barrier is enforcing the TRO.